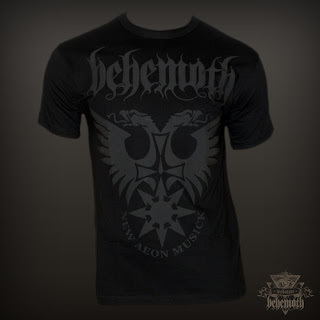 Behemoth is an extreme metal band from Gdańsk, Poland…or, as my parents would have called it, the Old Country. My dear friend Krzysztof Azarewicz assists with their occult/Thelemic lyrics. So it's a shout-out to Krzysztof and the band. Behemoth’s recent promotional video The Satanist: Prologue III shows lead singer Nergal contemplating “The Devil” from the Thoth Tarot (see also my Thoth Sightings webpage). So it’s a subtle foreshadowing of the soon-to-come Tarot reading in this first chapter. 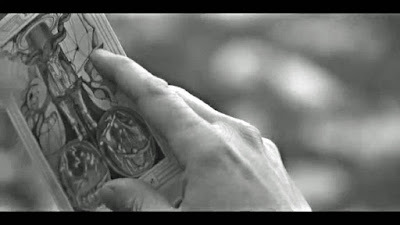 from Behemoth's promotional film The Satanist: Prologue III. Between the band name Behemoth (from Job 40:15-24), their 2014 album The Satanist, the drummer's name Inferno (which itself recalls Dante), and his contemplation of “The Devil,” we have all kinds of #DevilReferences, which appear throughout the book (along with #MonkeyReferences, as we'll see in other blog posts). (the name printed in Fraktur above an ominous double-headed eagle)..."
(The Billionth Monkey, p. 14). 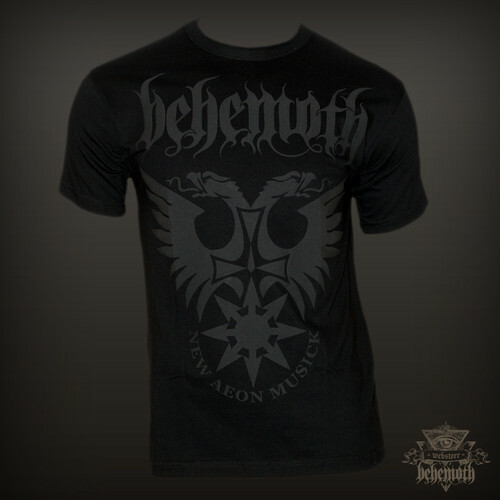 The image above is from Behemoth's web store. The band's vocalist, Nergal, recently released his autobiography, Confessions of a Heretic. Check it out!